Sorry, there are only 321 tickets of that type still available. Sorry, there are only 321 tickets left for this event. The Paris Dauphine University will host a major event on blockchain and DLTs and its impact on various fields, from computer science to organization management and finance. Professors and researchers from all over the world are expected. We are very honored to welcome great searchers at the research-oriented event of Paris Blockchain Week with the Fintech Chair of Paris Dauphine University Friday, April 19th, 2019 from 2pm to 8pm (at Paris). The event is intended for students, researchers and professors interested in the fields of study related to decentralized systems. The audience (about 100 attendees) is varied in specialties but at ease with the academic aspects of computer science, organization management and finance. David Chaum, widely recognized as the inventor of digital cash, David is currently leading the Elixxir project to provide scalable digital sovereignty. He is also known for other fundamental innovations in cryptography, including privacy technology and secure election systems. With a PhD in Computer Science from UC Berkeley, he taught at NYU Graduate School of Business and the University of California, led a number of breakthrough projects as well as founded the International Association for Cryptologic Research, the cryptography group at the Center for Mathematics and Computer Science in Amsterdam, DigiCash, the Voting Systems Institute, and the Perspectiva Fund. Monica Quaintance leads Engineering and Adoption Strategy at Kadena. She is a former Senior Data Engineer at Rent the Runway and a former Qualitative Analytics Engineer at the SEC. Prior to that, Monica securitized and restructured commercial real estate assets in the Investment Banking group at Cushman and Wakefield. Monica has degrees in Statistics and Probability as well as Economics from Columbia University. Harry Kalodner is a PhD candidate at Princeton University working under professor Arvind Narayanan. His research explores economics, anonymity, and incentive compatibility of cryptocurrencies. He developed BlockSci, a tool for cryptocurrency analysis as well as a Bitcoin mining strategy simulator. 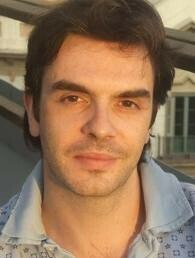 Julien Prat is a CNRS researcher specializing in macroeconomics and digital economics. Economist graduated from the European University Institute, he is currently a researcher at CREST and a lecturer at Polytechnique. He was previously a researcher at the Institute of Economic Analysis in Barcelona and a lecturer at the University of Vienna. Vincent Danos "Formal models of the security of wallets"
Anuj Das Gupta is a Tech Architect and a Researcher, who is the inventor of Stratumn’s Proof of Process protocol, and the architect of Nasdaq’s Blockchain Platform. Paris-Dauphine is the institution of higher education of reference in the field of the sciences of the organizations and the decision. A founding member of PSL University, Paris-Dauphine has teamed up with 22 prestigious Parisian institutions and research organizations covering a wide range of disciplines (Ecole Normale Supérieure, Mines ParisTech, art schools, Ecole des Hautes Etudes en Sciences Sociales, etc.). ). PSL is now 26 Nobel Prize winners, 10 Fields medals and 34 CNRS gold medals. Ranked in 2018 by Times Higher Education in 72nd position worldwide and as 1st national institution. Chain Accelerator is one of the world’s leading accelerators, fully dedicated to the advancement of blockchain technology. Chain Accelerator supports a growing ecosystem: startups, protocols, universities, businesses, developers, cyber security communities and especially promising entrepreneurs, while providing investors with unique access to blockchain projects. Chain Accelerator is located at Station F in Paris to support blockchain startups around the world. Chain Accelerator is the co-organizer of CryptoMondaysParis and Blockchain Week in Paris. Chain Accelerator is one of the world's leading accelerators, fully dedicated to the advancement of blockchain technology. Chain Accelerator supports a growing ecosystem: startups, protocols, universities, businesses, developers, cyber security communities and especially promising entrepreneurs, while providing investors with unique access to blockchain projects. Chain Accelerator is located at Station F in Paris to support blockchain startups around the world. Chain Accelerator is the co-organizer of CryptoMondaysParis and the Paris Blockchain Week.